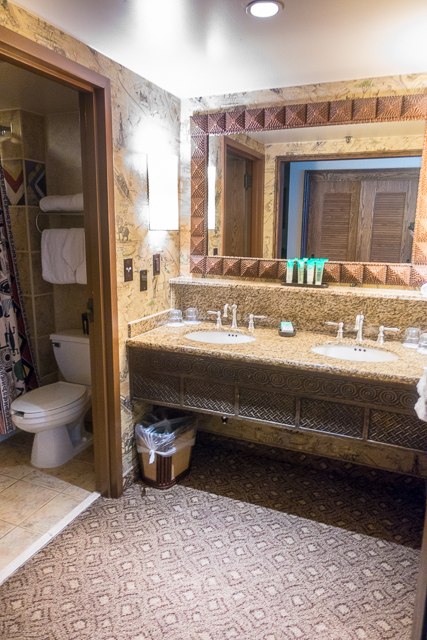 Holiday Sneak Peak at Walt Disney World - getting ready for the holidays at WDW. We got a sneak peak of all the new festivities coming to the parks this holiday season. You definitely don't want to miss this! September has been jammed packed with tons of great traveling. I've only been home for about 6 days all month. I am in Denver right now on my last trip of the month. I've got SO much to tell you about! 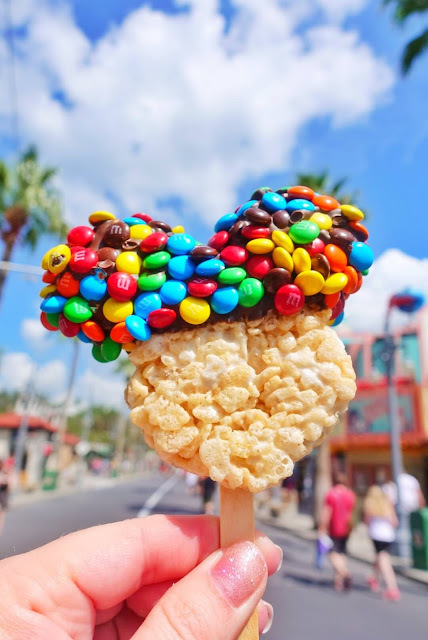 I'm starting at the end of my travels today and sharing all about an amazing trip to Walt Disney World that I took with 7 of my favorite food blogger friends. 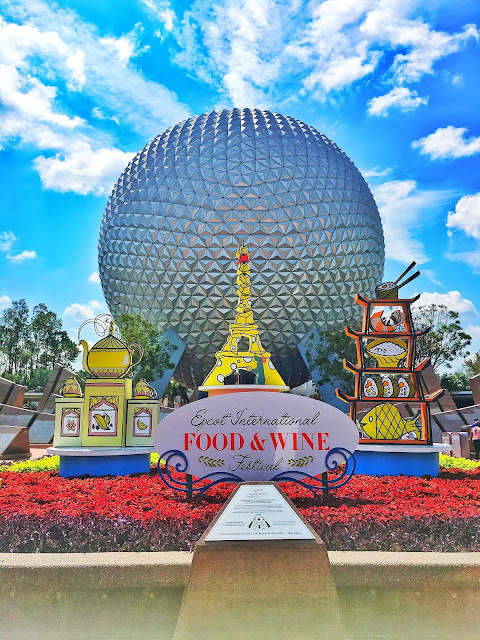 We went on a trip of a lifetime to Disney World to experience the Epcot International Food and Wine Festival and get a preview of all the upcoming holiday festivities! OMG! 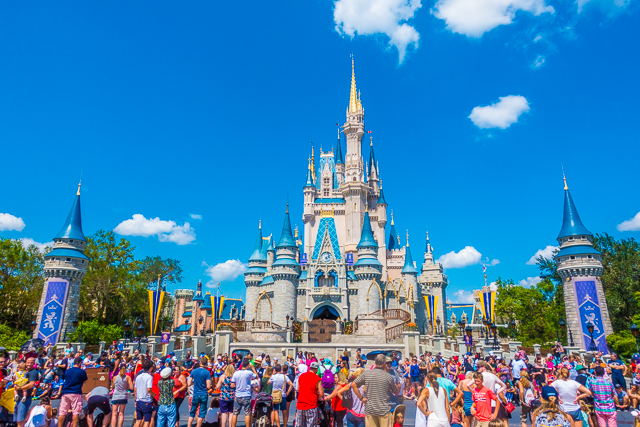 You must plan a trip to Disney World ASAP for the holidays!!! The holidays start on November 9th this year. You really don't want to miss what Disney has in store for you this year!! I got to Orlando super early and headed straight to Epcot to start eating. I seriously had the best time eating and drinking all of my favorite things from the festival. I didn't even care that I was all alone!! I was ecstatic that Mexico brought back the Ribeye Taco. It is my FAVORITE! I also was stoked to try the Spicy Chicken Bao Bun - really good!!! 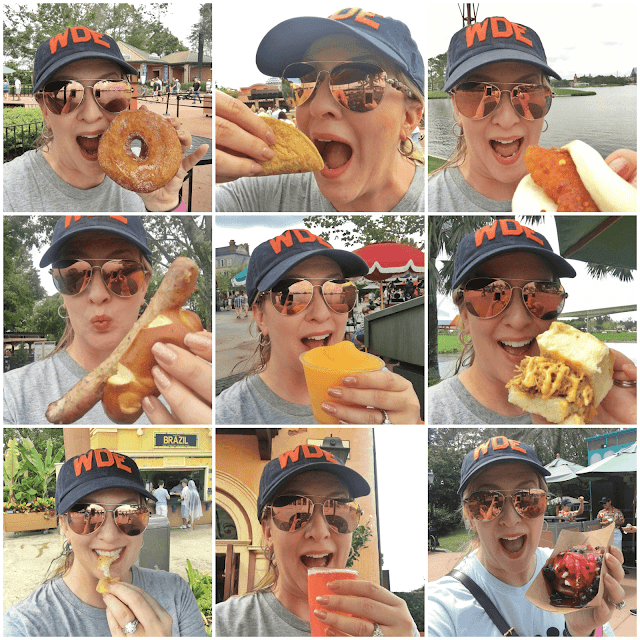 I also snagged a Bratwurst, Cheesy Bread in Brazil, the Pork Slider in Hawaii, Waffle in Belgium, Prosecco in Italy, a slushy in France and a CRONUT at the Refreshment Center. I've never had so much fun!!! We got VIP seats at the Eat to the Beat Concert. 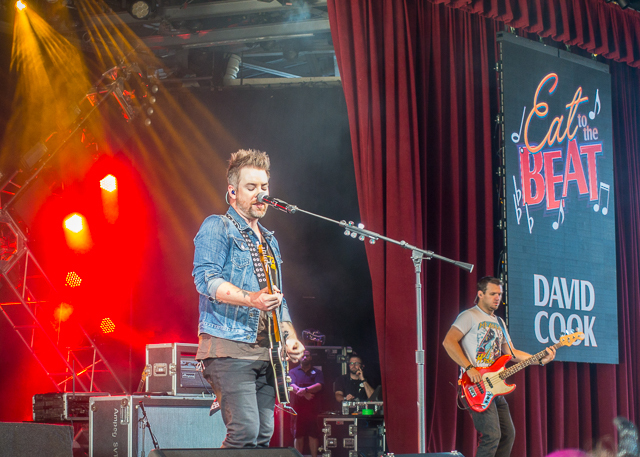 David Cook of American Idol fame was in concert while we were there. He was really good. Super nice and can really sing! 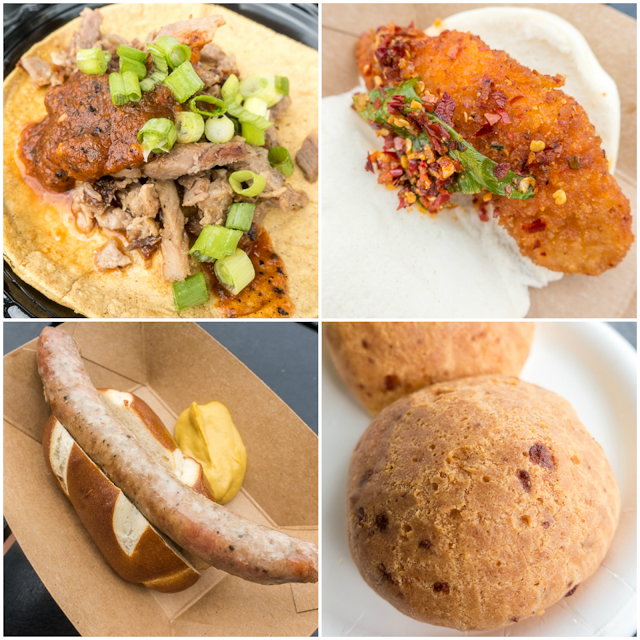 The best part about our visit to Epcot, was a trip backstage to the Festival Kitchen!!! 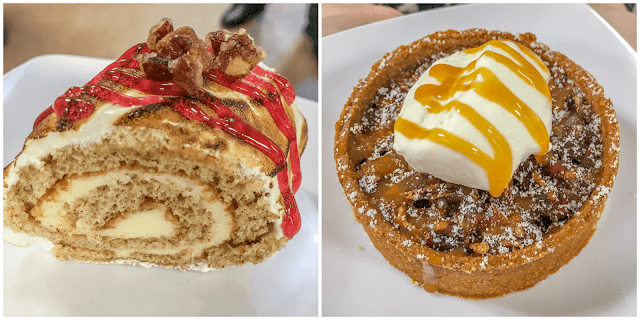 We got to sample the Maple Buche de Noel (maple mousse rolled in gingerbread chiffon cake with cranberry sauce and pecan crumble) and Chocolate Pecan Tart. OMG! The Maple Buche de Noel will be in Canada. There will be 15 holiday kitchens this year - double in size from last year!!! New this year, you can indulge in cookies and desserts at the holiday kitchen located inside the Odyssey complex. Sweet treats include snowflake sugar cookies and a warm apple fritter with cinnamon ice cream and caramel sauce. We got to sample the snowflake cookie - you want to get one! Our first night, Disney took us to Paddlefish in Disney Springs. 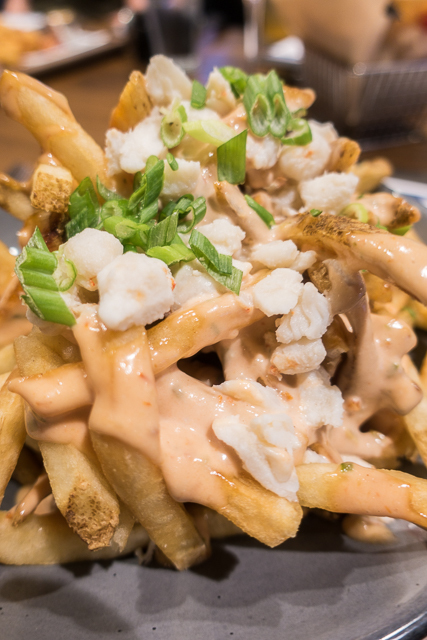 The Crab Fries are a must! You also better save room for dessert! 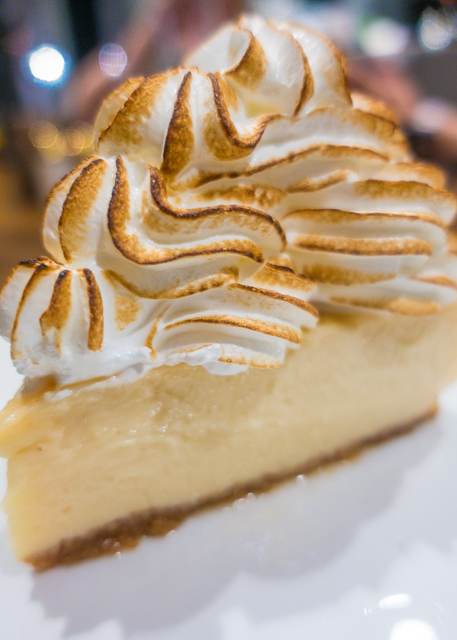 The Key Lime Pie was the best I've ever eaten! 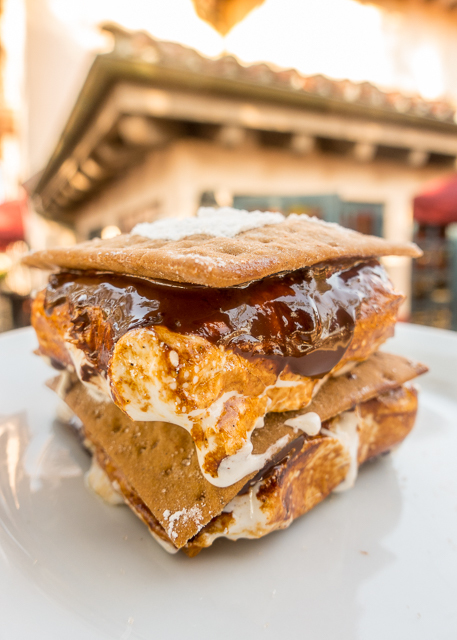 While you are shopping in Disney Springs, make sure to snag a holiday Gingerbread S'more from The Ganachery. 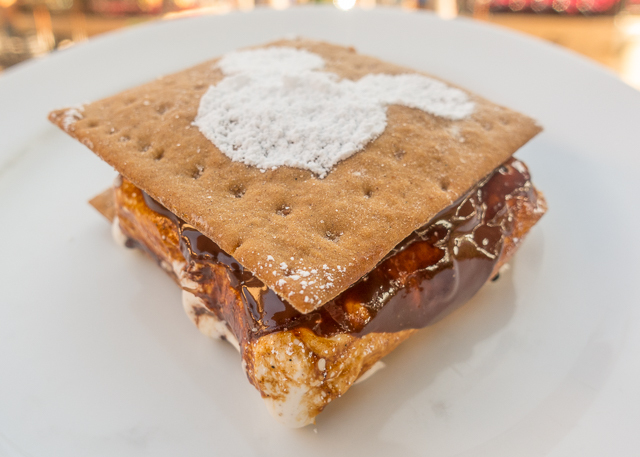 The Gingerbread S'more is only available in December. This alone is worth the trip to Disney Springs!! In addition to the s'mores, you will want to check out the Christmas Tree Trail. This is the second year for the Christmas Tree Trail and it is BIGGER and BETTER than last year! You can stroll among custom decorated holiday trees, each dedicated to a popular Disney theme. This year, the Christmas Tree Trail will expand to include ten new trees inspired by Disney classics such as Sleeping Beauty, Peter Pan, Snow White and Dumbo. We got to see all the trees and they are AMAZING! We couldn't take pictures of the trees, but believe me when I say you don't want to miss the Christmas Tree Trail!!! 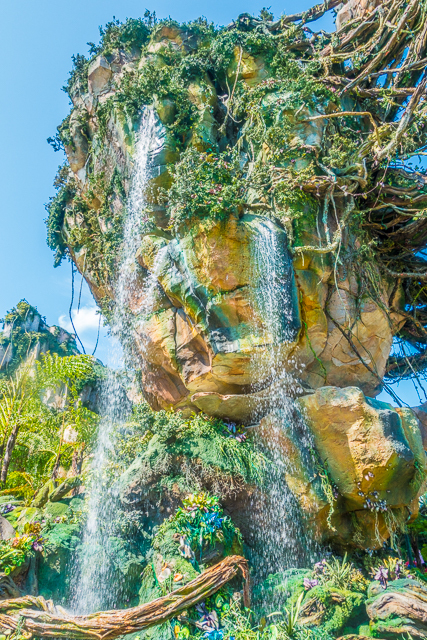 I finally got to experience Pandora at Animal Kingdom. It did not disappoint. 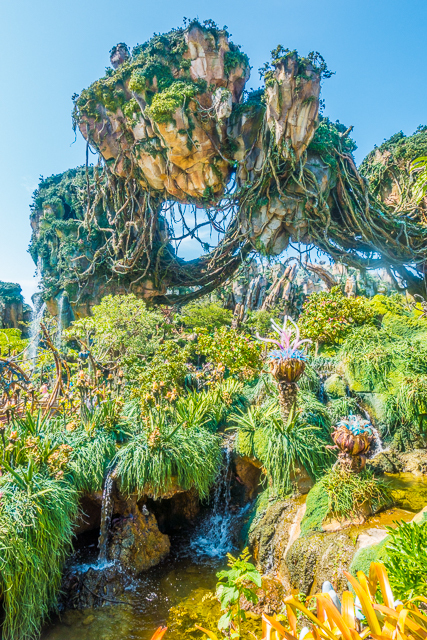 Make sure to snag your FastPass for Avatar Flight of Passage. It is one of the best rides I've ever ridden!! After we rode Avatar Flight of Passage TWICE, we snagged some snacks Satu'li Canteen. We shared the Neytiri's Chocolate Cake - chocolate cake with a crunchy cookie layer, banana cream and Goji berries . 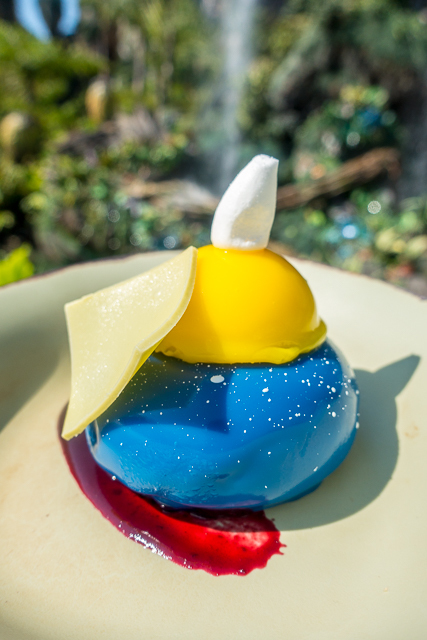 We also got the Blueberry Cream Cheese Mousse - with passion fruit curd. I can't wait to bring Chicken Legs to Pandora on our trip this winter. 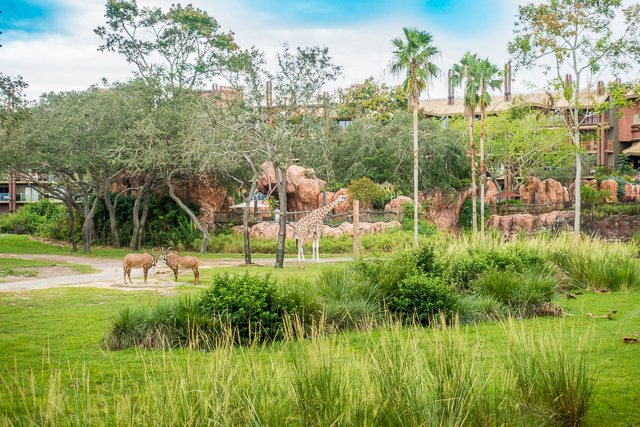 I can't wait to see the new day-into-nighttime experiences, including Tree of Life transformations, Kilimanjaro Safaris, Kali Rivers Rapids and Expedition Everest. 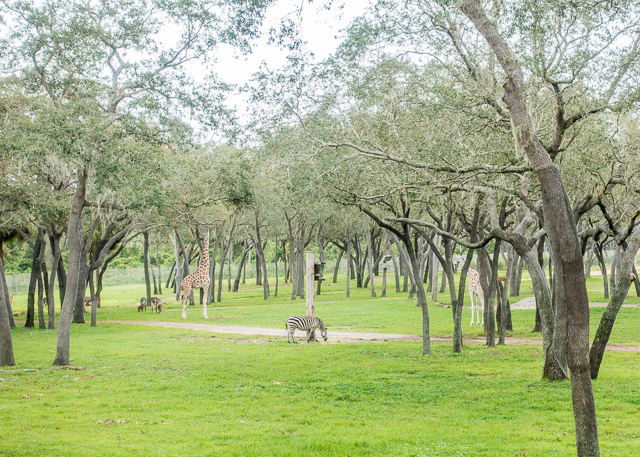 I love seeing the animal-themed holiday tree, and festive garlands will have the park all a-glow with merriment. 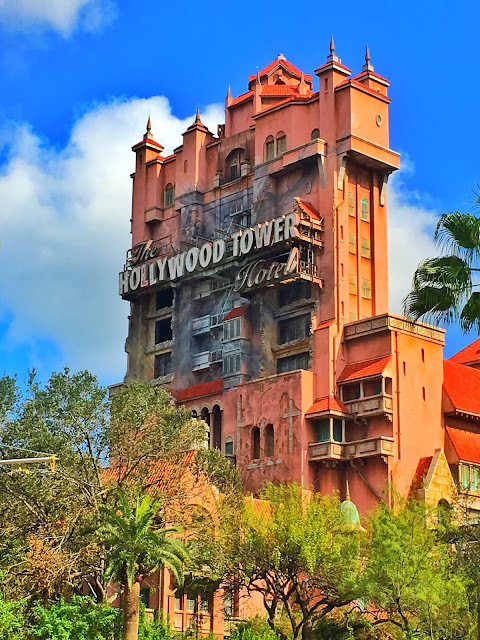 Hollywood Studios is home to my favorite ride - Tower of Terror! I could ride Tower of Terror all day and never get tired of it! 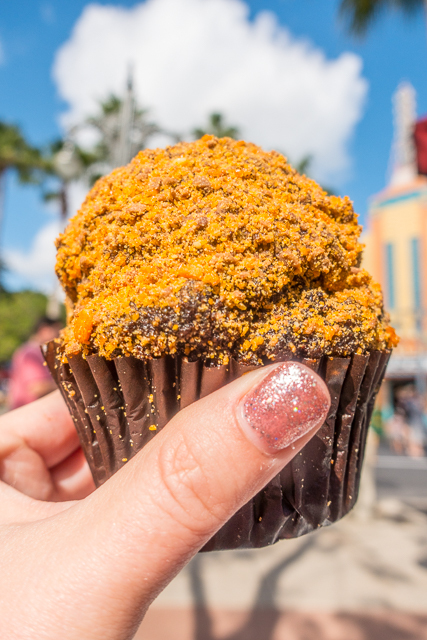 I am also really fond of the treats in Hollywood Studios! I am SUPER excited about all the new holiday festivities coming to Hollywood Studios this year!! I'm most excited about Sunset Seasons Greetings. This new holiday experience features spectacular projections of Mickey, Minnie and other beloved Disney characters sharing their favorite Christmas stories as a snowy Sunset Boulevard twinkles with stunning holiday decorations. Holiday magic brings billboards to life and transforms the famous Hollywood Tower Hotel into scenes of the season – a giant pile of Christmas gifts, a gingerbread house and a frozen winter wonderland! A frosty summer-loving snowman might even make an appearance to share his holiday wish! This fantastic and heartwarming experience runs continuously throughout the night. We saw some artist renderings of the show and it looks INCREDIBLE!!!! 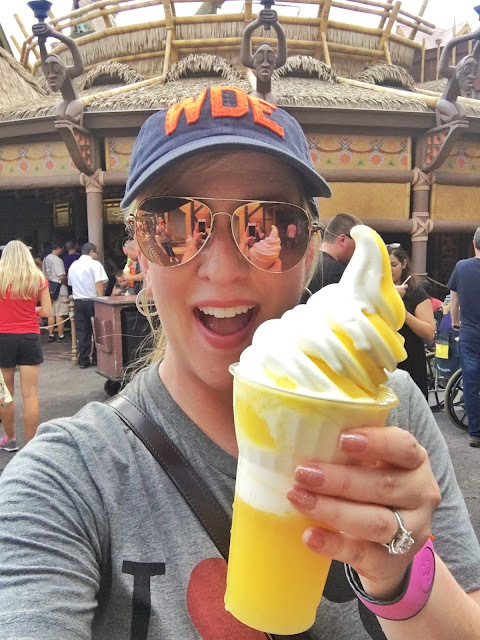 I had my very first Dole Whip on this trip to Disney. How come I've never eaten this before?!?! Secret Menu tip - ask for vanilla and pineapple swirl! 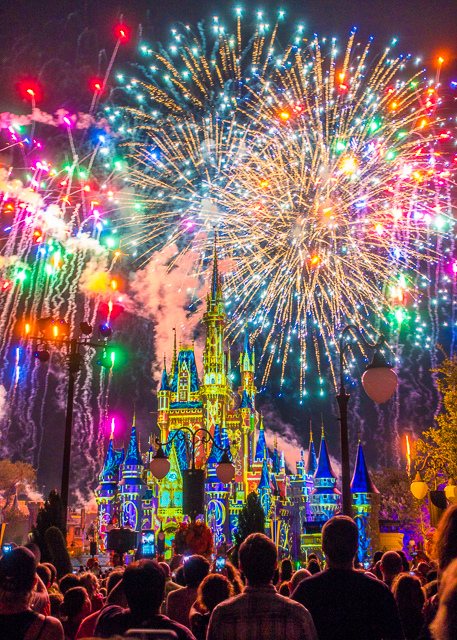 The new Happily Ever After fireworks show was AH-MAZING! We had great seats for the show that came with our Happily Ever After Dessert Party tickets. 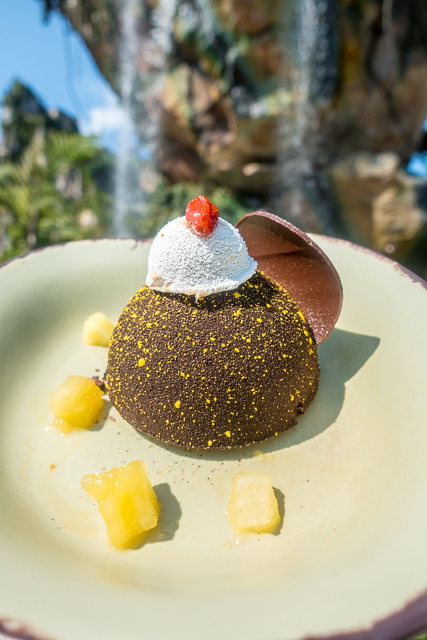 It's hard to beat delicious desserts and incredible fireworks to end your day at the park. 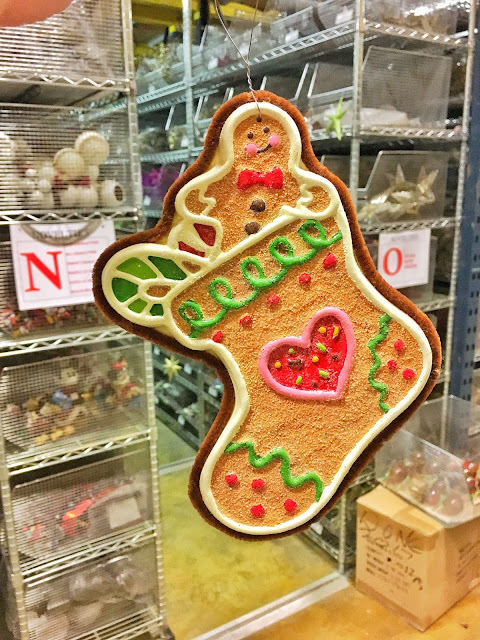 We got a super top-secret tour of the holiday warehouse. This is where the keep all of the GIANT Christmas trees for all the parks and resorts. This is also where we got the see the Christmas Tree Trail that is coming to Disney Springs. Fun Disney Fact - they keep the giant park trees fully assembled all year round! It would take them a solid month to redecorate them, so they just keep them decorated. We also go to see ALL of the ornaments they have access to for decorating the trees. They even let us pick one to take home! Make your plans to come see A Frozen Holiday Wish with Anna and Elsa. They will lead a celebration on the Castle Forecourt Stage nightly Nov 9th - Dec 31st. We already have our tickets to Mickey’s Very Merry Christmas Party! It is a Christmas party like no other!! 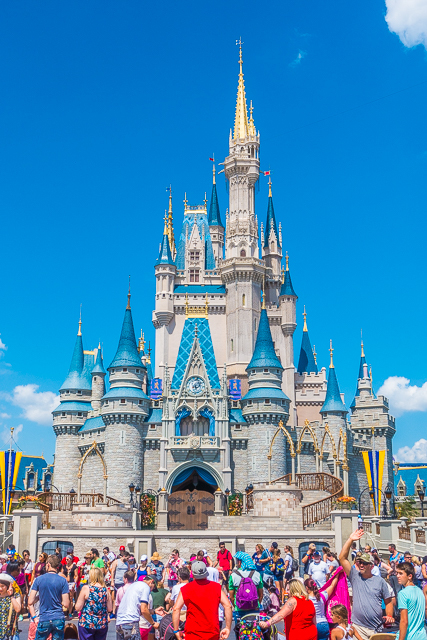 You want to come just to see Cinderella's Castle - it is BEAUTIFUL! 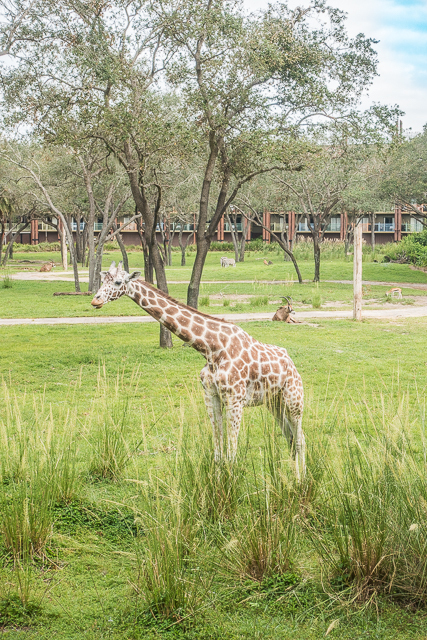 Disney put us all up at the Animal Kingdom Lodge. I was SUPER excited! I've always dreamed of staying here. This is the view directly outside my room!!!! 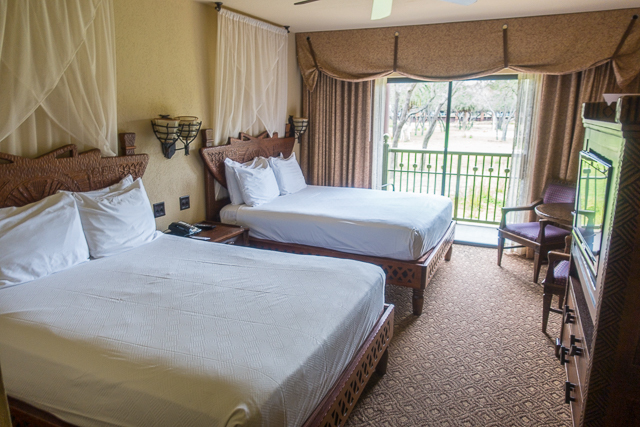 I have a Savannah View room in Jambo House. I was on the second floor. I could almost touch the giraffe! 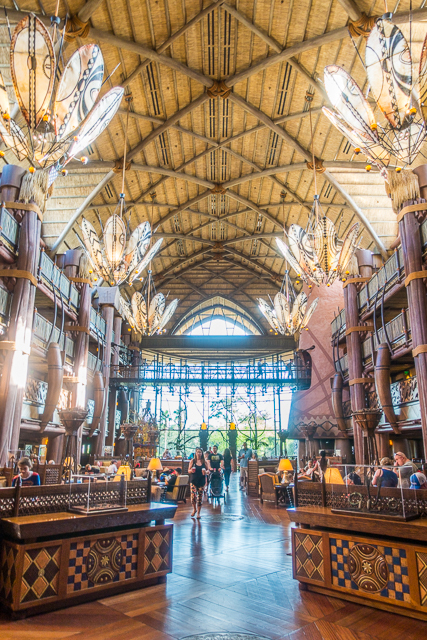 I LOVED staying at the Animal Kingdom Lodge. I definitely recommend staying here if you love animals. Chicken Legs and I are heading back to Disney World in December. I am SUPER excited about seeing all of the new holiday festivities that I got a sneak peak of on this trip! We are going for the first time as a family Nov 6-12! We cannot wait. Where is the Christmas Tree Trail at? Will it all be decorated for Christmas at that time? Is the Frozen sing a long at HS a ticketed event where you have to purchase tickets in advance or is it open for anyone that is in the park?